Good Talk! is a quarterly panel series covering a variety of topics and issues facing today’s nonprofits. Join us for coffee and conversation with a superstar lineup of local social impact movers and shakers! 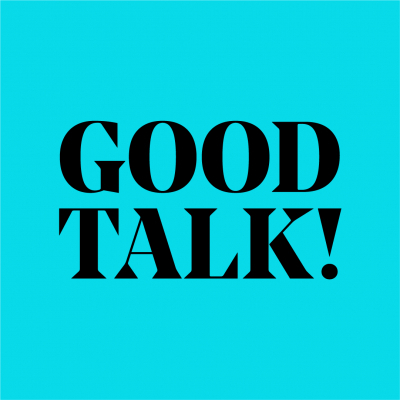 The topic for our April Good Talk! is “Accelerating Board Diversity”. Studies show that diverse boards are more successful, and many nonprofit leaders recognize the need to bring a variety of voices into the conversation. So why are so many boards still struggling to diversify their ranks? Change is needed, and it’s needed now. We’ve gathered an all-star panel to discuss how to ramp up board recruitment efforts and ensure that everyone has a seat at the table. Wednesday, April 24, 2019 from 9:00 am to 11:00 am in the Skyline Room at the Free Library of Philadelphia located at 1901 Vine St, Philadelphia, PA 19103. The panel will begin at 9:30 am and conclude at 10:30 am. Come early at 9:00 am or stay until 11:00 am for mingling and networking! The panel discussion will be followed by a Q&A. Coffee and light breakfast fare included. Once again, we are thrilled to partner with The Regional Foundation Center to ensure this event is free and open to the public! They house Philadelphia’s largest publicly accessible collection of resources on fundraising, nonprofit management, general philanthropy, and more. The event is free but space is limited, so please RSVP on our event page. While spanning diverse sectors, our panelists all share the common threads of connecting with communities, pushing their industries forward, and sharing knowledge with others. Amber Hikes is the executive director of the Mayor’s Office of LGBT Affairs for the City of Philadelphia, where she develops policy and serves as the principal advisor to Mayor Kenney on issues that affect the LGBTQ community. A graduate of the University of Delaware and University of Pennsylvania, Hikes joined the Office of LGBT Affairs after 8 years of college access work for low-income students of color in West Philadelphia and Long Beach, California. Greg has over 25 years experience as an entrepreneur, business consultant, and community advocate. He is a co-founder of TriZen, LLC—a Philadelphia based DBE Certified Business Consulting and Leadership Development Company. Greg is a coauthor of The Spider Web Philosophy: Catch your Dreams. He currently is the Chair of the Board of Directors for the People’s Emergency Center. Greg is a certified public accountant and received his B.S. in Business Administration and Accounting from Temple University. Sulaiman Rahman is the founder and CEO of DiverseForce, a social enterprise that aims to cultivate diverse leadership pipelines and inclusive ecosystems in the public, private, and philanthropic sectors. In 2017, DiverseForce partnered with the University of Pennsylvania to develop DiverseForce On Boards, an innovative leadership development program that trains mid-to-senior level professionals of color in the public and private sectors to serve more effectively on nonprofit boards in the region. He also founded the Urban Philly Professional Network (UPPN), which has been engaging, empowering, and connecting professionals of color for over 10 years. He currently serves on the boards for Community College of Philadelphia Foundation, Mastery Charter Schools, TeenSHARP and YearUP Greater Philadelphia Chapter. Past boards he served on include PIDC, Philadelphia Film Society, Young Involved Philadelphia, and the American Chamber of Commerce of PA, NJ, DE, where he served as Chairman of the board from 2010-2012. Andrew (Andy) Toy is the Community Development and Development Director for SEAMAAC (Southeast Asian Mutual Assistance Associations Coalition), whose mission is “to support and serve immigrants and refugees and other politically, socially and economically marginalized communities as they seek to advance the condition of their lives in the United States”. Among other duties, Andy has successfully led the Conceptual Plan for Mifflin Square Park moving towards implementing a $5.3 million improvement. Andy and the team also manage the SoPhiE (South Philly East) Food Truck project. Previously, Andy was the Managing Director of the Eastern Tower/Chinatown Community Center project, a $77 Million mixed-use community development. Andy is recognized as a thought leader and innovator when it comes to community and economic development, building a successful Commercial Corridor Initiative at the Local Initiatives Support Corporation and before that building Philadelphia’s Brownfields Program. Andy is currently the Treasurer of The Merchants Fund, Board Member of The Public School Notebook, and is a founder of the Philadelphia Public School Giving Circle as well as United Voices for Philadelphia and was an appointee on the Philadelphia Zoning Code Commission. In 2006 Andy was selected as one of the top 101 Connectors in Philadelphia. Andy holds a B.A. in Economics and a Master’s Degree in Public and Urban Policy, both from the University of Pennsylvania. In his spare time he likes to listen to and create music and eat and cook a variety of cuisines. As Founder and Strategic Director of J2 Design, Alan provides innovative leadership to help organizations define their vision and craft strategies for growth. Brand strategy and experience design in the built environment have been the keystones of Alan’s research and passion in the areas of education, healthcare, arts, science and technology, development, and public space. Alan is also the Founder and Creative Director of Exit Design, a leading experiential design firm dedicated to connecting people, information, and environments (and J2’s sister studio). Alan is a natural convener who brings people with different viewpoints and agendas together to find common ground and move their organizations forward. He leads J2’s strategy process, gathering stakeholder input to identify our clients’ core objectives, challenges, and areas for opportunity; that vital information drives the creativity our design team to formulate transformative solutions. Alan is driven by the impact design can have on the on our quality of life, organizational growth, and the influence of design on attraction and affinity. Alan plays leadership roles in a variety of communities. He is the Board Chair of both the Arts and Business Council of Greater Philadelphia and the internationally recognized Village of Arts and Humanities in North Philadelphia, and is also an Executive Board member of The Philadelphia Center for Architecture and Design as well as The Chamber of Commerce for Greater Philadelphia. Alan is a recent recipient of the Philadelphia Creative Economy Award and the Professional Excellence Award. He is a frequent speaker on experience design and brand strategy at conferences and universities.